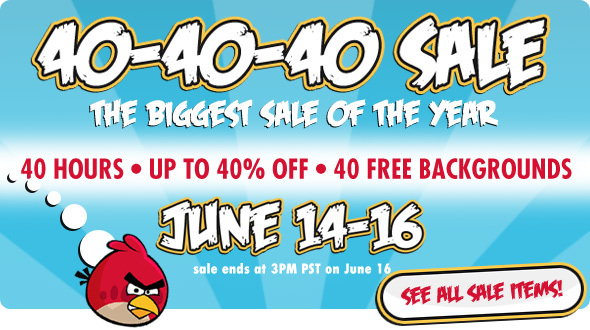 Every year in June we have a huge 40 40 40 sale over at SimplyYouthMinistry.com. There are tons of resources for 40% (and some for 20% also), it’s the best time of year to stock up on student books, curriculum, and other resources. It’s never too early to think about next fall and what you’ll need. You can also grab 40 FREE Backgrounds while you are there. Just incase you need a little more reason to go, we made a fun little video to help promo it. And it involves one of my favorite games, Angry Birds. Simply Youth Ministry 40-40-40 Sale. Starts June 14th at 12 AM PST, Expires June 16th at 3 PM PST. No code needed.